From a large consignment of books given to me by a fellow Freecycler. Sending as a RABCK to someone who has this on her wishlist. Today at work I got to the end of a particularly heavy, fairly stressful time at work. Our programme for 2009 goes to print tomorrow, and so today was my last day of being able to make any changes... and the last three months have been busy busy busy trying to seal all the partnerships and sponsorships for the biggest Book Festival in the world. But I've done it! And what a LOVELY surprise to come home and find this on my doorstep. I love Jeanette Winterson's writing, although haven't read any of her work for several years. I'm so looking forward to getting into this. And it was just the loveliest treat to come home to on this first evening in AGES that I've been able to sit down and relax. Received as part of my NSSEB parcel. 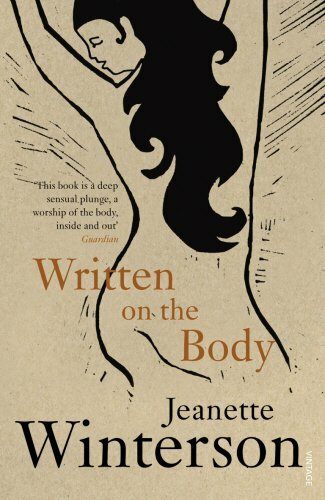 Hurray, I like Jeanette Winterson and haven't read this one. This didn't disappoint. I really loved the way the main character thought she/he was so insightful about other peoples relationships, yet couldn't see the wood for the trees regarding their own. Will release soon. And off it goes to Bjorg as a bit of spring rabckery. Happy reading! A friend passed this on to me. She picked it up at PordenoneLegge. Thanks so much. Beautiful writing. But this one is not for me, unfortunately.